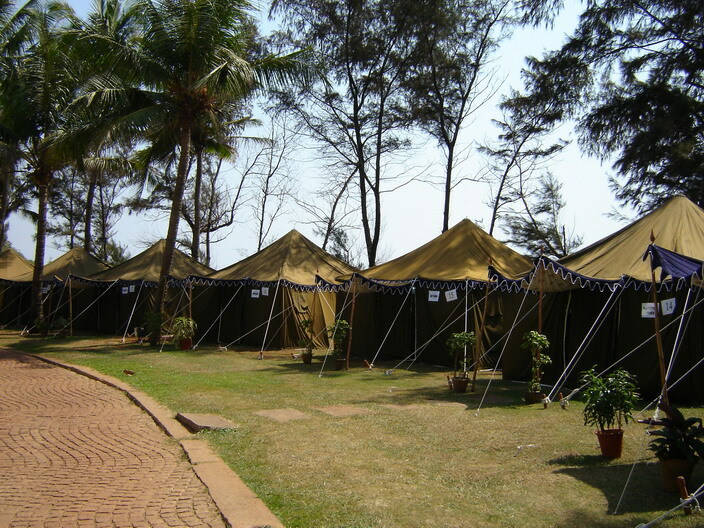 Namdhari Tent Manufacturers is an acclaimed Manufacturer, Exporter, and Supplier of Goa Tents. 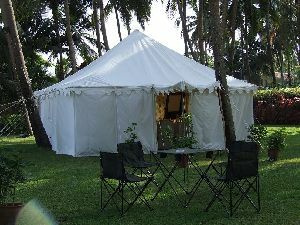 We manufacture Goa Tent from special quality canvas that is eco-friendly and makes camping immensely comfortable. 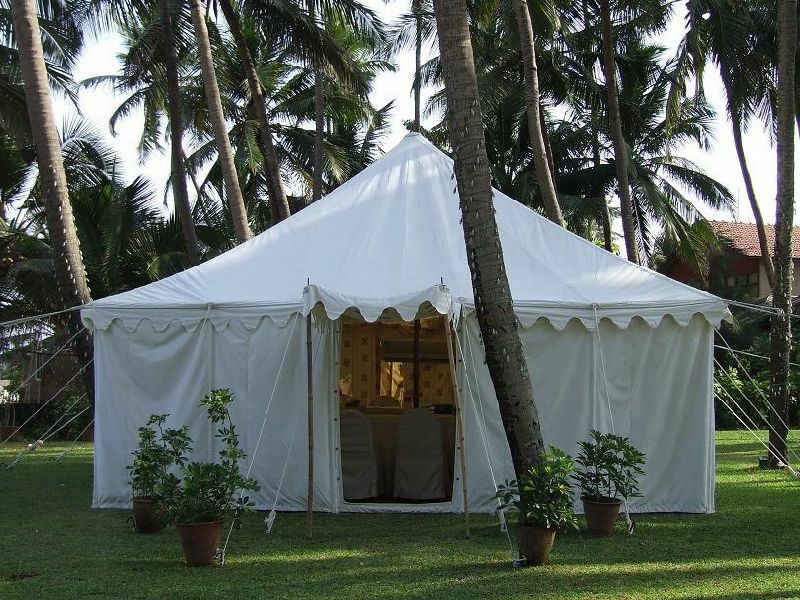 Our Goa Tent is preferred for its appealing design and robustness. We are committed to offer Goa Tent at competitive market rates. 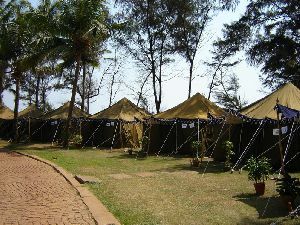 These Tents are Square shape, single pole peaked Tents. 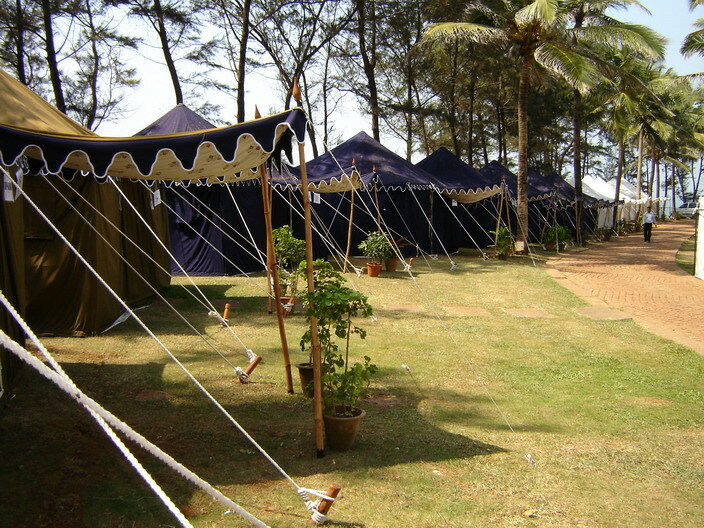 Traditionally these tents are known as the Single pole Tents. 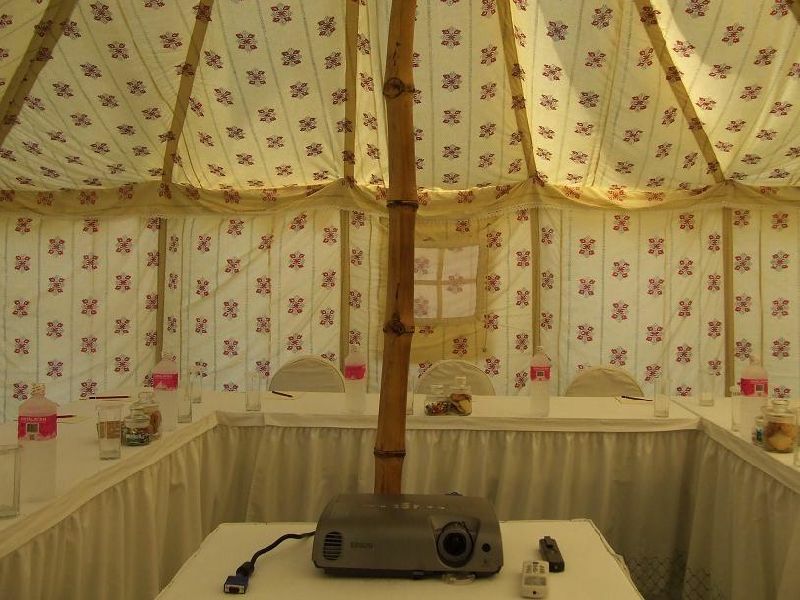 Used as a living tent, for garden party, as a small conference tent, as reception tent or simply as a resort cottage tent, it is erected on a single center bamboo pole. 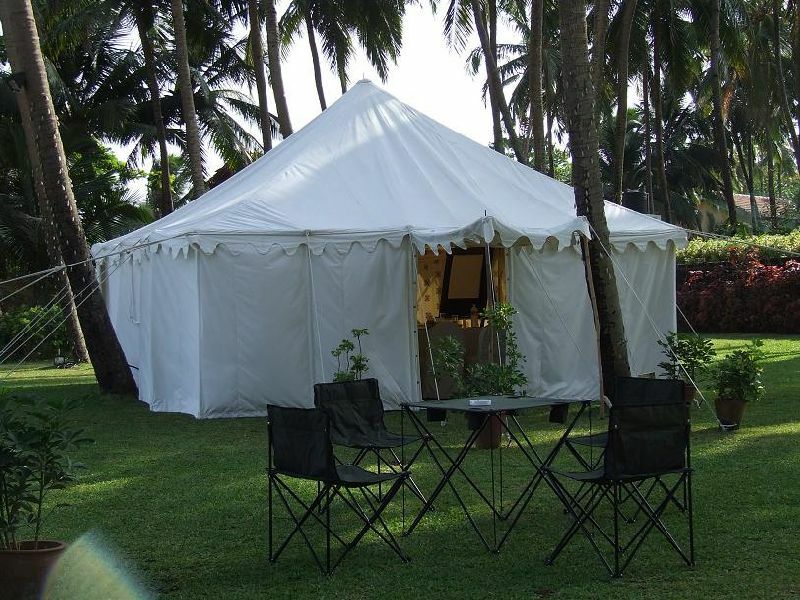 We have erected many such Living Cottages in Goa, and hence the name Goa Tent. 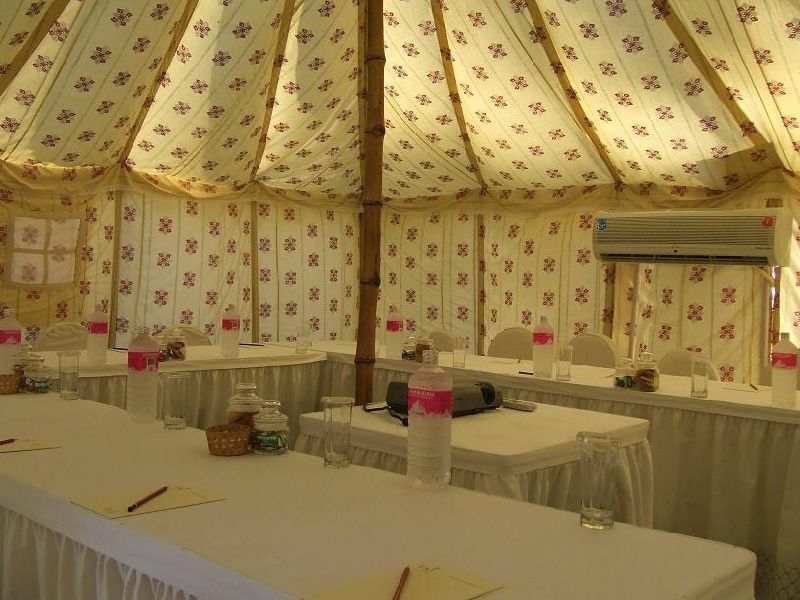 Cloth Combination : The tent top is made up of two layers, Upper of water repellent cotton canvas in Natural color and inner of block printed cotton sheeting. 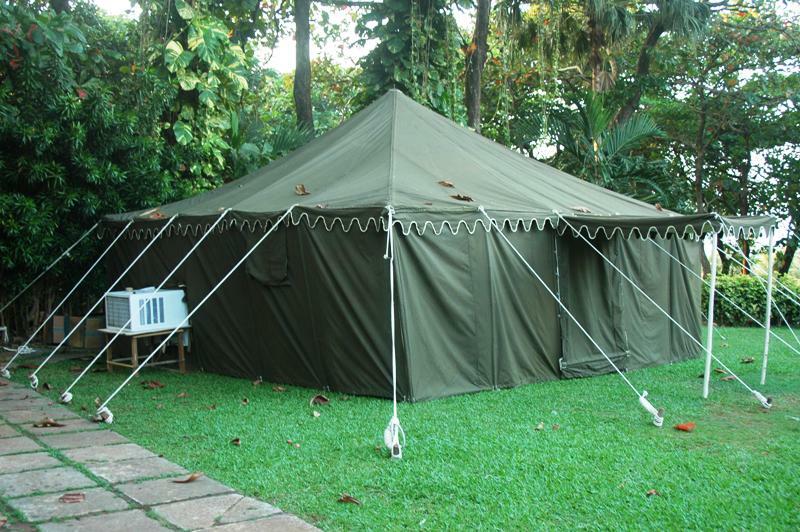 This Tent comes with detachable Canvas Walls and out held canopy as doorway. 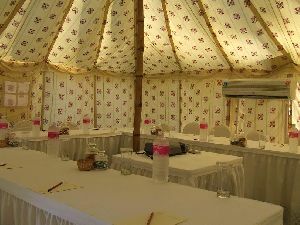 One or Two doors and two windows are generally provided in this tent, but this can be customized according to the specific needs of the buyer. 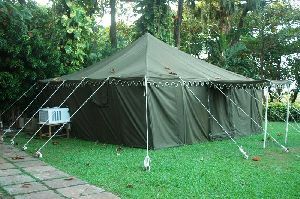 Out held Canopy : This tent has a beautiful out held canopy as its doorway. 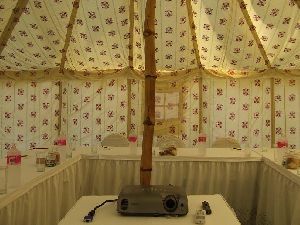 This flap can fall down and close the tent from all sides. Accessories : Carefully selected Bamboo poles, carved wooden pegs, cotton ropes, beautifully carved wooden pole tops, iron pins etc.